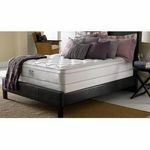 Serta has joined forces with the National Sleep Foundation (NSF) to design the all-new Perfect Sleeper®, the Only Official Mattress of the National Sleep Foundation, engineered to help solve 5 common sleep problems—tossing & turning, lack of support, sleeping too hot or too cold, partner disturbance and mattress roll-off or sag. 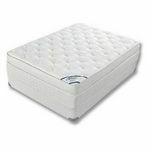 The Castlemoor Gel Super Pillow Top mattress includes a ZoneActive™ 5-Zone Foam Topper that helps reduce pressure built up at key areas of shoulders, arms and hips. 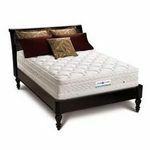 As well as including 2 Layers of Cool Twist™ Gel Memory foam and Smart Surface™ a combination of Cool Balance® Fabric Technology with our anti-microbial Body Loft® Fiber right at the sleep surface to promote pressure relieving comfort and a balanced sleeping temperature. This was the best gift that I have given to myself in several years. 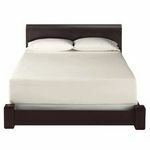 You can't put a price on a good nights sleep and I have been having the best nights sleep I have had as an adult. I didn't realize how much I used to wake up in the middle of the night until I wasn't anymore. Definitely worth the money. 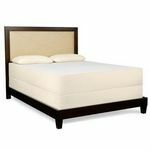 I bought the Serta Pillow top Queen mattress a year ago and it is still like new. I am very comfortable sleeping on a soft bed. the mattress is great I have never had a better mattress than this one. I really enjoy it.